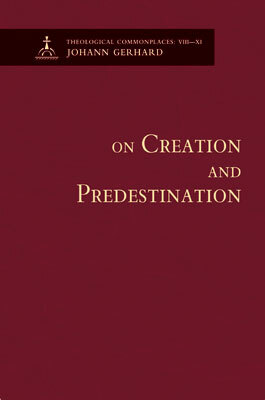 The following excerpts are from Gerhard’s loci On Creation and Angels and On Providence, which are included in the volume On Creation and Predestination, Theological Commonplaces VIII–XI. § 37. The word “angel” is a homonym or equivocal word according to Epiphanius (Haeres. 69, p. 340). (1) For it is attributed to the uncreated Angel, the Son of God, who is called “Angel” because He is the person through whom the heavenly Father spoke to the patriarchs in the Old Testament and whom in the fullness of time He sent into the flesh (Gen. 16:7; 22:11; 32:24; Hosea 12:3; etc.). Here the rule must be observed: Whenever the name “Jehovah” or a divine work and divine worship is attributed in Scripture to an angel, then that must be understood to mean the Son of God, the Prince of the heavenly host, the Lord of all the angels (Basil, Contra Eunom., bk. 2, p. 128). (2) It is attributed to created spirits, good ones as well as wicked. Examples of this meaning are obvious everywhere in Scripture. (3) It is attributed to John the Baptist (Mal. 3:1; Matt. 11:10; Mark 1:2). 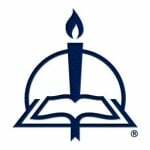 (4) It is attributed to the ministers of the church (Isa. 33:7; Mal. 2:7; Revelation 1–3; etc.). These are called angels because they serve as ambassadors for Christ (2 Cor. 5:20). How all things work together for good to the devout. § 102. Anselm (De mensuratione crucis, letter B) writes in agreement: “Your goodness” (O God) “knows how to use our evils for good, as You also often make our failures produce an increase of humility, so that it is true that the just man falls and gets up again seven times a day [cf. Prov. 24:16].” Savonarola (on Psalm 31): “Does the apostle not write that for those who love [Him] all things work together for good [cf. Rom. 8:28]? Therefore all things do that, so that even sin itself works together for good for them. From On Creation and Predestination, pages 23–24, 84–85. English translation © 2013 Concordia Publishing House. All rights reserved. To order On Creation and Predestination, please contact CPH at 800-325-3040 or visit www.cph.org.